Cala d’Or, the Golden Bay, is one of the most beautiful and attractive holiday destinations on the Balearic island of Mallorca. 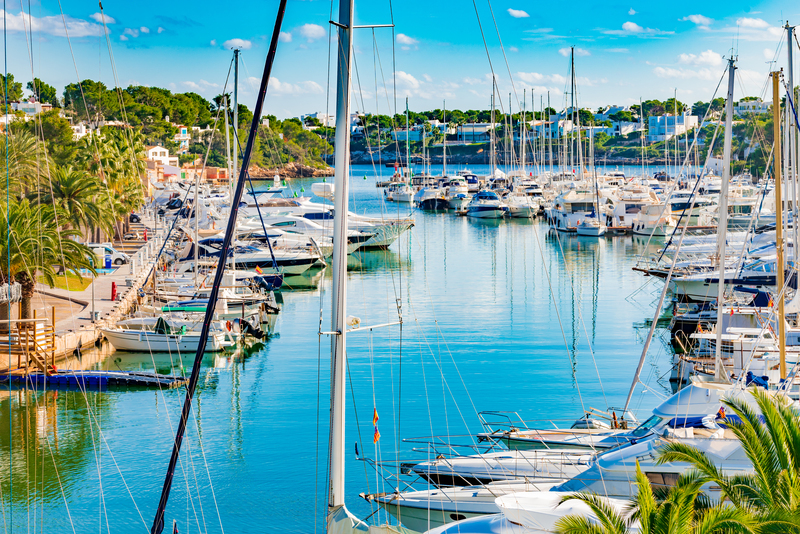 Cala d’Or is a well-kept resort with a pedestrianised centre and a beautiful marina. The beautiful white houses and the charm of the low buildings ensure that the appearance of this seaside resort is not altered. The pleasant and romantic atmosphere has typically Spanish aspects. Cala d’Or is located in the south-east of Mallorca and is quickly accessible by plane. It only takes an hour to reach Cala d’Or from the airport by bus or car. Buses, taxis and trains are widely available for tourists who wish to visit Palma de Mallorca, Porto Petro and other nearby villages. In Cala d’Or, the sun shines all year long. Those who want to avoid the heat of the summer months can still enjoy temperatures of up to 20 degrees during the spring and autumn. Find your villa in Cala d’Or here! 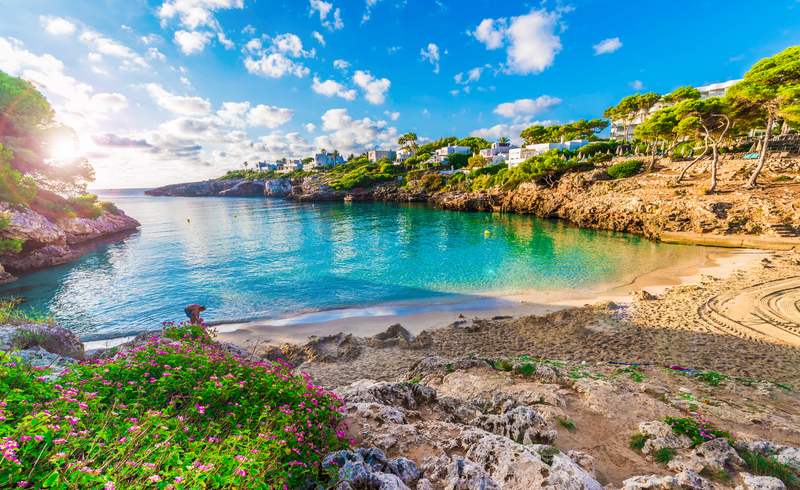 Cala d’Or is a pleasant and romantic seaside resort with eight beautiful bays and fine sandy beaches. The most famous beaches are Playa de Cala d’Or and Playa Cala Gran near the centre. Almost 70 metres wide, Cala d’Or beach is adjacent to the centre of Cala Esmeralda and lies between rocks and pine trees. During the summer months, both beaches offer the possibility to rent sun loungers and use showers and toilets. 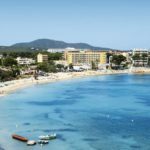 The crystal-clear water and the gently sloping sandy bottom of most of the sandy beaches make this swimming paradise in Cala d’Or an ideal holiday spot for families with children. Cala d’Or, starting point for great outings and hobbies. – The luxurious Cala d’Or marina is located in a long bay with palm trees, Cala Llonga. Here both local fishing boats and luxury yachts from all over the world come to moor. On a walk in the marina, you will find many bars, restaurants and shops. – For those who are looking for sports activities, Cala d’Or offers many facilities and leisure activities such as surf schools, diving clubs, boat trips, golf, minigolf and much more. – You can also take a boat to other locations or go on a glass-bottomed boat trip. – The nature to be found in Cala d’Or’s wooded hills is truly magnificent. You can take beautiful strolls in the hinterland dotted with olive trees. Visit Botanicactus, an impressive nature reserve. 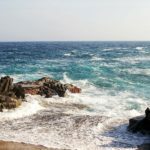 – From Cala d’Or, you can also take trips: organised excursions, trips on public transport or outings in a hire car. Palma, the capital of Mallorca, is 2 hours’ drive from Cala d’Or. 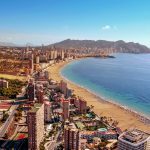 Other than shopping, you can also admire the La Seu Cathedral, Bellver castle and Badia beach. 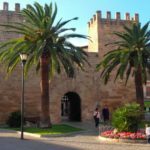 In Manacor, not far from Cala d’Or, are the Drach and Hams caves, where you can take a guided visit through the “caves of antiquity”. For children, we recommend Aqua City with its wave pools and slides. In Cala d’Or, about a hundred restaurants offer the most varied Spanish specialities, as well as Italian and Mexican dishes. Sit on pleasant terraces and taste gazpacho, tapas and paella. And if you really can’t live without it, of course you can also eat an Italian pizza. In the centre you will also find dozens of bars, pubs, cocktail bars and flamenco bars. And if you like to dance, don’t hesitate to take a break in one of the nightclubs or discos. Would you like to spend your holiday with your family or friends in Cala d’Or? Take a quick look at the rentals on offer with Club Villamar. Choose from about 20 holiday homes and villas with a private pool for 6 to 12 people.